By using Macro we can record a task. It is very useful when you have a task that you need to perform repeatedly. It speeds up the procedure and assures accuracy. Open View tab. On the right end of the Ribbon you will find the macro button. 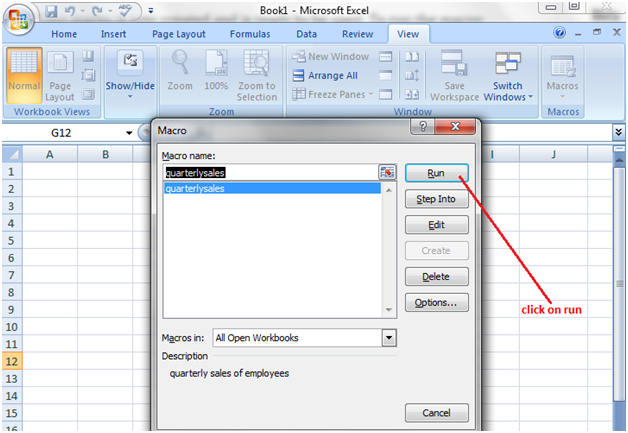 View Macro: Clicking on view macro option opens the macro dialog box where you can run, edit or delete a macro. Record Macro: Click on this option to record macro. On clicking, it displays the record macro dialog box where you can fill the details of your macro. 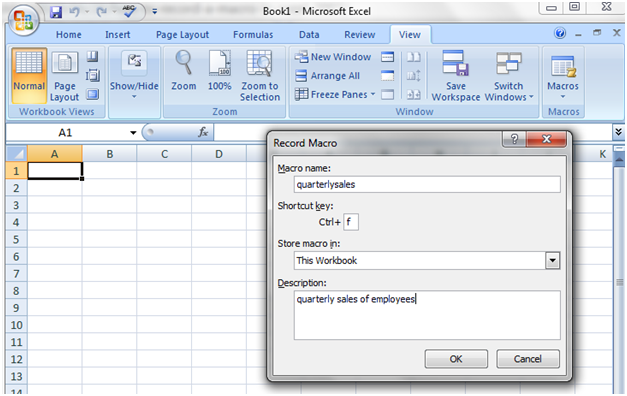 Use Relative Reference: This option helps record macro in relative mode. Using relative mode you can run the recorded data anywhere on the worksheet. Click on the Record Macro option. It will display the macro dialog box. Fill the details of macro then click ok. See the image given below.